Using oak is an excellent choice for durability and beauty. As you can see an island could have been added here, however keep the floor open by using a wide board composite flooring added to overall beauty of this kitchen. Custom windows truly are the focal point here and provides natural light with the high ceilings. You may want to note the nickel finished hardware in this kitchen. Using oak is an excellent choice for durability and beauty. As you can see an island could have been added here, however keep the floor open by using a wide board composite flooring added to overall beauty of this kitchen. 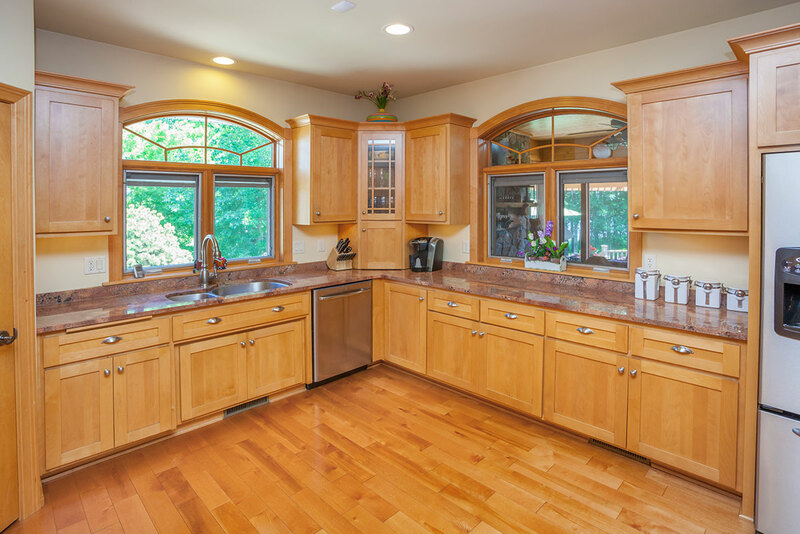 Custom windows truly are the focal point here and provides natural light with the high ceilings. You may want to note the nickel finished hardware in this kitchen. Using oak is an excellent choice for durability and beauty. As you can see an island could have been added here, however keep the floor open by using a wide board composite flooring added to overall beauty of this kitchen. Custom windows truly are the focal point here and provides natural light with the high ceilings. You may want to note the nickel finished hardware in this kitchen. [WD_GALLERY id=841] Using oak is an excellent choice for durability and beauty. As you can see an island could have been added here, however keep the floor open by using a wide board composite flooring added to overall beauty of this kitchen. Custom windows truly are the focal point here and provides natural light with the high ceilings. You may want to note the nickel finished hardware in this kitchen. Using oak is an excellent choice for durability and beauty. As you can see an island could have been added here, however keep the floor open by using a wide board composite flooring added to overall beauty of this kitchen. Custom windows truly are the focal point here and provides natural light with the high ceilings. You may want to note the nickel finished hardware in this kitchen.